On coaches signal, players move as quickly as possible from their starting point to the color of cone called, and back again. 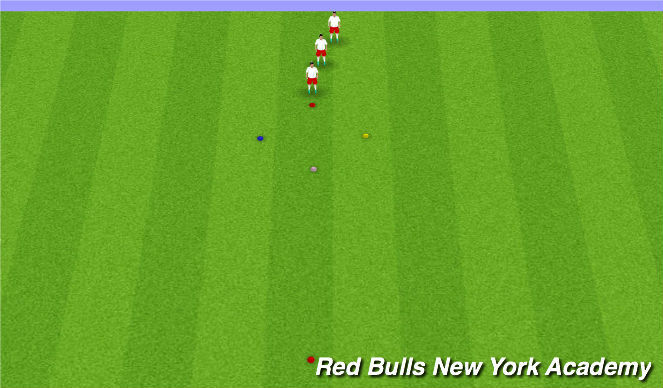 Players make three quick movements and then sprint through to the end cone. - Play for 90 seconds, and then rotate roles. - 90 seconds per station. Keep score and make it a competition. 4v4 game. 2v2 in each half. 1 player can join attack on dribble. Play one goal games, winners stay on. 4v4, regular rules. Offsides are in effect.